Published August 29, 2012 at 2560 × 1920 in Bookbinding. 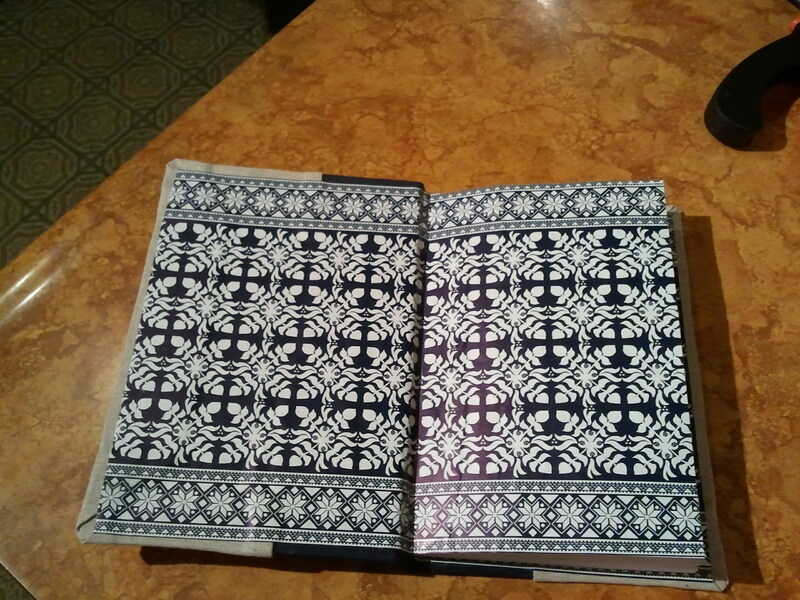 The endpaper in this book is also of IKEA giftwrap, but is much better. I figured out how better to work the spray of spray mount, but am still not entirely happy with the way it stuck. It still peels up a bit at the corners.